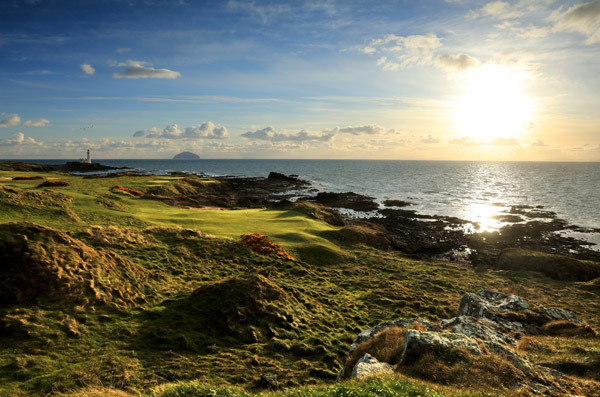 Trump Turnberry has been on the receiving end of a huge refurbishment. Almost every inch of the five-star resort has enjoyed a lavish update including the world famous, and consistently top ranked Ailsa Course. Some might’ve been of the opinion that such a course was not in need of such attention but many of those in the know have always felt that, despite already being a world class test of golf, the Ailsa wasn’t quite fulfilling its full potential. The updates the course has subsequently benefitted from since being closed for play following the Ricoh Women’s British Open last summer are wide ranging and one could even argue that the Ailsa project was the most anticipated in world golf over the last 12 months or so. 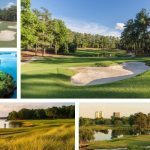 Here at Your Golf Travel, we like to be sure we know what’s really going on at the venues we send golfers on their travels to, so we sought the expert opinions of PGA Golf Professionals and YouTube sensations Mark Crossfield, Matthew “Coach” Lackey & Steve Buzza. 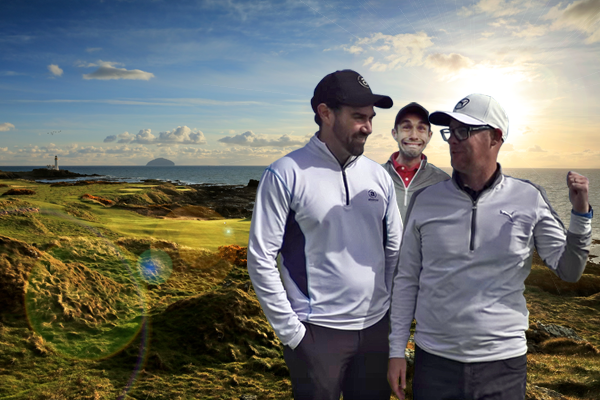 All three have been lucky enough to travel far and wide, filming locations for YGT as they go, so who better to send on a scouting trip to Scotland during the week of the Open Championship to get the low down on what the NEW Ailsa is really all about. First impressions – what did you think when arriving at Trump Turnberry? Mark: I was just happy to be back. Last time we were there was the first time we all met Soph (Sophie Walker) and even before all the renovations, Turnberry was one of the best places I’d ever been to play golf so as soon as I saw the hotel in the distance as we approached in the car, I was excited. Coach: Me too. I’m sure Mark and Buzza will feel the same but well have played plenty of links golf growing up down in Devon and elsewhere so to play one of the world’s best links courses was a treat last time out and I couldn’t wait to see how it had all changed as you only really read good things about the updates on the course. “Is he even a pro?” was also born here thanks to Soph so I’ve got good memories of the place! Buzzman: I’d never been to Turnberry before so although it was obvious I was in for a treat, I didn’t have anything to compare it to unlike the other guys so was amazed when I saw the place for the 1st time. The whole set up, with the hotel up on the hill overlooking the golf courses is class. Mark: I wasn’t worried. I know the holes around the turn were popular places to have your photo taken but holes 9 & 11 weren’t world beaters as golf holes. They are now though and while 10 was already really good, it’s a little more fun now as a par 5 so in addition to all of the other changes around the course, I’d say they’ve done a really, really good job. Coach: Rory to be honest. I know he loves Turnberry so I’m sure he wasn’t in the best of moods when he didn’t get the call…serves him right for all the Augusta jokes he sends my way! In all seriousness, I wasn’t overly worried either about the course as I knew Trump had gotten all the right people involved in the process of tweaking the course. The hotel would’ve been more of a worry for me as it was pretty perfect last time we were here but it was still amazing…the baths are still swimming pool size so what’s not to like?! Buzzman: Maybe that it wouldn’t feel like a real links anymore but to be honest, it was better than expected. The holes by the sea were even better than I thought they’d be and the whole resort / layout were first class, I couldn’t fault it. There were so many changes to the overall resort, what was your favourite? Mark: The “new” stretch around the lighthouse. It seems like an obvious answer but the 15th and 11th are now world class holes and the 10th is really good fun as a par 5. Just visually stunning and a real fun selection of holes to play. Coach: The new 18th tee is really nice, makes a dramatic end to your round walking all the way out to the sea. Buzzman: Well I’d not been before so can’t really comment on the changes but the 9th hole par-3 playing by the Turnberry Lighthouse…not sure there is a better short hole I’ve played from the back tees. You visited the Lighthouse Suite, it is around £3,500 a night, what did you think? Mark: We just couldn’t believe they didn’t invite the ambassadors to stay there for the night. Steve probably ruined that one for us but why not if you’ve got the money. I always wondered why the Turnberry Lighthouse wasn’t really in use the first time we visited so it’s good to see they’ve made something out of it. Coach: Proper Vegas style that isn’t it? I mean if you’ve got the money to stay there while you’re at Turnberry, why wouldn’t you? It’s awesome and as long as the WiFi is OK I’d be happy…it’s big enough for me to get away from Crossfield’s snoring too. Buzzman: It’s pretty spectacular so if you’ve got the money it would be the best place to stay on the whole resort I’d say. Imagine the views you’d be treated to if you were up in the early morning as the sun comes up! Was there anything on the golf course that you would’ve changed if you had of been given free rein on the design? Mark: I wouldn’t change it. It’s always been a special course and the changes they have made are just amazing. I’ve been lucky to do lots of trips with Your Golf Travel and Turnberry might be my favourite course now. It’s just stunning. Coach: I wouldn’t change it either. If they can keep it in good condition which I’m sure they will it’ll always be one of the best courses in the world. Hopefully Turnberry will get another Open as it would be amazing to watch a major on a course like this. Opens at Turnberry have been pretty awesome in the past so imagine how good it would be to watch the world’s best playing it for four days! Buzzman: Less rough…would’ve come home with a few more golf balls that way! 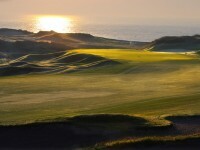 What was your favourite hole on the course before they made the changes to The Ailsa and what is your favourite now? Mark: I think the 10th was and still is a great hole. Not much has changed there except a bit more length and the par of course. It was a spectacular par 4 and now it’s a spectacular par 5 but if I had to pick a favourite it would be the 9th. It’s just stunning from the back tees. Coach: I agree with Mark about the 9th from the back tees. The 10th was probably the most fun hole to play last time out and it’s even better now with the green moved further back and down towards the water. The tee shot here is one of the best I’ve ever faced and now the approach is so risk vs. reward the hole is just class. Probably the best par 5 I’ve played in the world now. Also snuck one past Steve off the tee. Don’t like to talk about it though. Buzzman: I’ll go with the 10th. It’s a brilliant par 5 and the guys were trying to explain how it used to be as a par 4 it. It would’ve still been amazing but with the green moved much closer to the edge of the water it’s really exciting. You can birdie it. I should have! 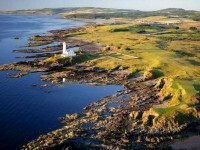 Any tips for someone travelling to Trump Turnberry for the first time? Mark: Be sure you make the breakfast before your 2nd round of golf. Even Rory made it when we were last here but a day on the links can really take it out of you. It’s not so much of a problem now that the lighthouse is an obligatory stop but who wants to miss out on a Scottish cooked breakfast? Coach: Manage your expectations in terms of your game maybe? It’s not easy for golfers who go from their home courses to a world class links like this so if you don’t play to your handicap don’t stress about it. Just enjoy the course. Make sure you have a good warm up too as the practice facilities and Wee Links are awesome facilities. 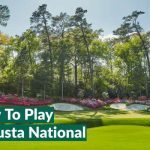 Buzzman: Ummm…pack plenty of balls! May as well have a look for some of mine while you’re playing too. No seriously; just enjoy it. Even if you don’t play well just keep your head up and soak up the surroundings as it’s a really special place to play golf. Lasting impression – what were you thinking when you drove away? 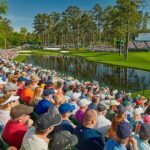 Mark: I haven’t stopped talking about it since and the last time I remember being that amazed but a golf course was at Augusta…is there anything more you can say? I mean the changes are just amazing. Coach: I just loved it. It’s a shame Soph wasn’t there (not you Rory) but everything about the place has gotten a little better, especially the Ailsa Course which is probably the best I’ve ever played at this point. Buzzman: That I didn’t really want to be leaving. It’s a long old drive back to Exeter and the journey back seemed twice as long as the journey there because I knew it would be a while before playing the course again. I 100% will though as it’s definitely one of the best I’ve ever had the chance to enjoy a round on. I wish we could have stayed and played for a few more days…I could happily play the Ailsa every day and not get bored.